« Stonehenge builders may have transported megaliths down ‘stone highway’ from Wales. 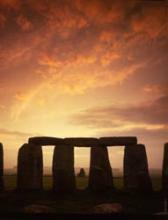 Has the secret of Stonehenge been solved? SOLSTICE morning marked both the longest day of the year and the release of new book Megalith: Studies in Stone that claims to reveal secret behind the mystery of the cosmology surrounding stone circle constructions like Avebury. Megalith is the first global study into the stones at both Avebury and Stonehenge and has been penned by stone circle experts including Robin Heath, that focusses on the Wiltshire circles. Among the insights in Megalith, the book argues that there were probably once 99 stones in the outer circle at Avebury.